Liver cancer is the fifth most common cancer in men and the ninth most common cancer in women worldwide. The incidence rate of liver cancer is larger in developing countries, but is, unfortunately, rapidly growing in the U.S. Currently, liver cancer rates are the highest in Central America, West and Central Africa, and East and Southeast Asia. An estimated 40,710 new cases of liver cancer will be diagnosed in the U.S. in 2017, with more than 28,920 deaths expected to result from the diagnosis. 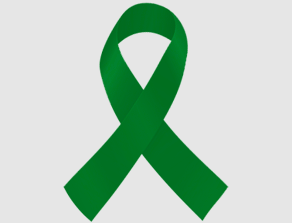 For the 43% of people who are diagnosed with liver cancer at an early stage, the five-year survival rate is 31%. For those people diagnosed with liver cancer at late stages, the five-year survival rate drops to 17%. In the U.S., liver cancer incidence has more than tripled since 1980. Liver cancer is more than twice as likely to occur in men than in women. The liver is a common place where cancer spreads. Colorectal, breast and lung cancers are the most common sources of cancer that metastasize to the liver. In addition to specific projects listed below, genomics research is helping us attack liver cancer – and all types of cancer. NFCR has distinguished itself from other organizations by emphasizing long-term, transformative research and working to move people toward cancer genomics. Dr. Yung-Chi Cheng’s laboratory is working to bring Traditional Chinese Medicine (TCM) into the mainstream of Western medicine, with hopes of reducing the side effects of chemotherapy, while enhancing the benefits. Since the late 1990s, Dr. Cheng’s team has been exploring the therapeutic properties of PHY906, a Chinese herbal medicine formula and has discovered that when combined with chemotherapy, PHY906 alleviates the unpleasant gastrointestinal side effects of chemotherapy for pancreatic, colon, rectal and liver cancer patients. Moreover, their research demonstrated that PHY906 also has its own, solo anti-tumor attributes. If there is continued success in clinical trials, PHY906 could become one of the first FDA-approved oral herbal medicines for anti-cancer treatment.